Following a poor fiscal year, Sony has come forward with a set of initiatives designed to revitalize the sluggish business. The “One Sony” strategy will focus on games, mobile and digital imaging in an effort to generate roughly 70 percent of total company sales from these three divisions. 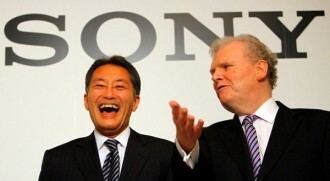 “One Sony” is the first big move from newly-appointed CEO Kaz Hirai. In the gaming sector, Sony is planning to add new titles to their downloadable catalog for the PS Vita handheld and PS3 console as well as improve subscription services on the PlayStation Network. Sony is also preparing better games for their line of tablet and Vaio devices in addition to leveraging their accessories and peripherals market. With any luck, the Japanese electronics giant hopes to generate revenue of around $12.4 billion through gaming by fiscal 2014. As for digital imaging, Sony is looking to reinforce its development of image sensors, signal processing technologies, lenses and other key digital imaging technologies and leverage them in both its consumer products and broadcast / professional equipment. The company is further planning to restructure their television industry and expand business into emerging markets such as Mexico and India. Talk of restructuring the TV division has been going on for nearly a year now as this market hasn’t been profitable for the company in nearly eight years. The team also wants to create new business and accelerate innovation as well as realign their business portfolio to optimize resources. As a result of the portfolio changes, the company will be reducing their overall headcount by 10,000 workers in fiscal year 2012.